Serious renovation was required before Pepsi Co could move into their new headquarters in the old Emporium warehouse. They wanted to improve the visibility into the site, both for visitors and from their employees’ office windows. Several trees on site were suffering after years of being topped to keep the power lines clear. These were removed, and new trees were placed in more advantageous positions. The building received a new facade and the front parking area was reduced. During the development of the design, it was discovered that the stormwater from the roof had been draining directly into ODOT storm sewers. 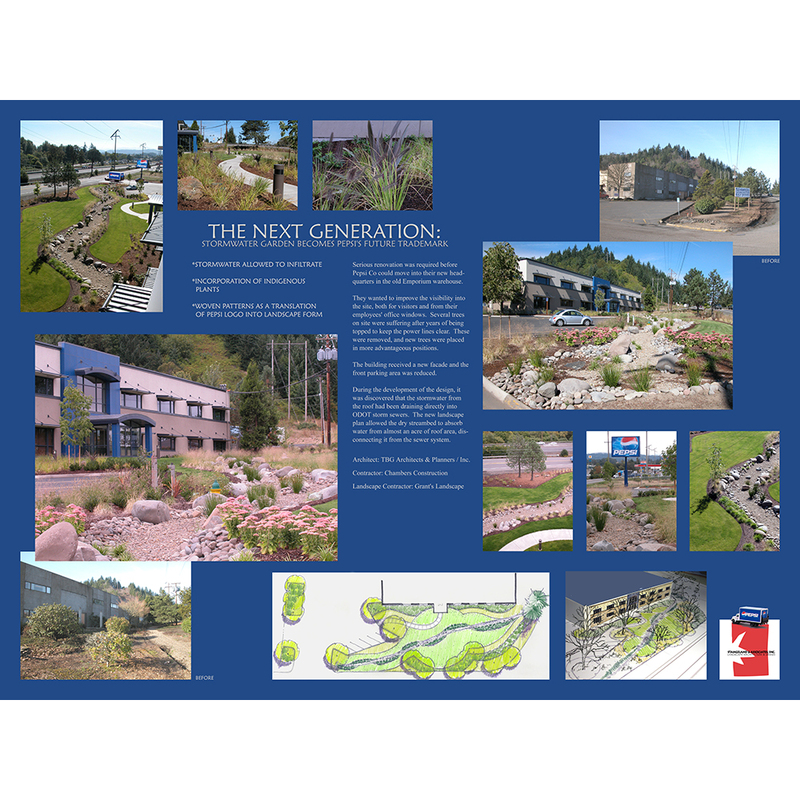 The new landscape plan allowed the dry streambed to absorb water from almost an acre of roof area, disconnecting it from the sewer system.